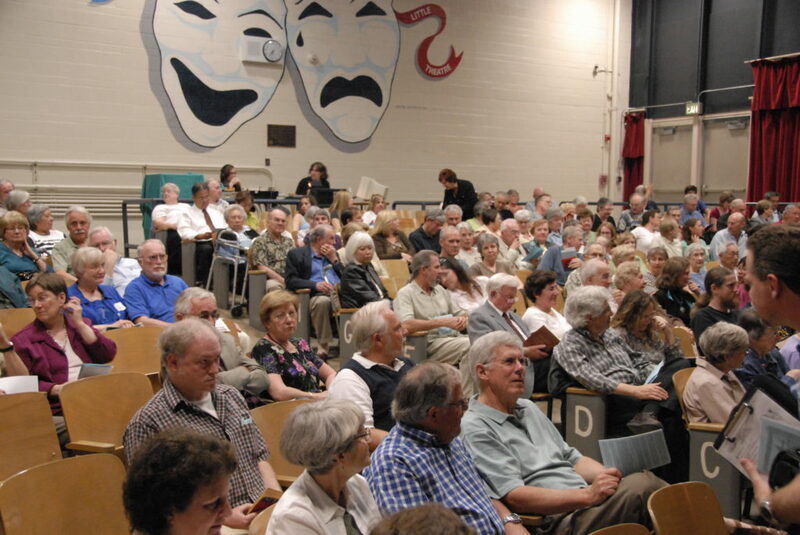 These are a few of the many positive and enthusiastic comments from audience evaluations of the Enemy Alien Conference and “Freedom Lost: Three One-Act Plays” held in San Mateo, California on April 28, 2007. 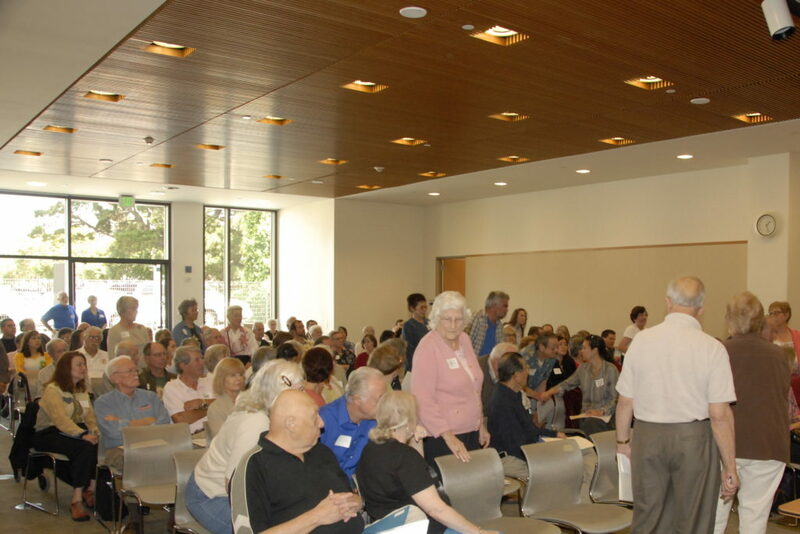 Around 225 people packed the conference room at the San Mateo City Library to hear six scholars and historians present various aspects of the Alien Enemy Control Program (AECP) in World War II, as well as point out parallels to today’s treatment of presumed enemies. 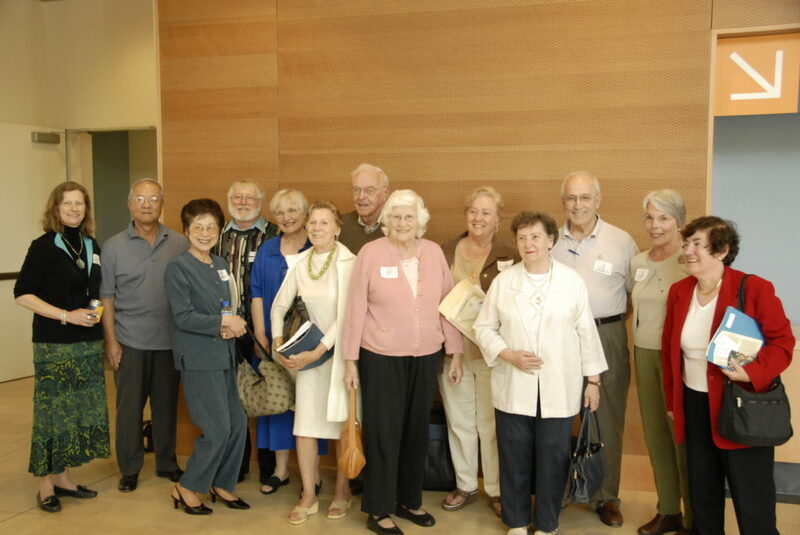 Among attendees were former internees and their families. The one-act plays that evening, featuring nine professional actors from the Bay Area theater community, also played to a standing-room-only audience of nearly 300 people. Both the Conference and the plays were widely featured in the media, including KCBS, KQED, the San Jose Mercury News, and the Alameda News Group. The events were designed to mark the opening of the Enemy Alien Files exhibit in the San Francisco Peninsula, as well as introduce the “Alien Enemy Control Program Curriculum Guide and Lesson Plans” to a wider audience. The lesson plans include the scripts for three one-act Reader’s Theater dramatic productions, written by John Christgau, and featuring student-aged subjects of the AECP from the German, Italian, and Japanese communities. Both Lesson Plans and plays are suitable for students at the secondary or college/university level. All are available free on-line at this site, www.gaic.info, or by mail order through the National Japanese American Historical Society in San Francisco and in the Midwest through the TRACES Center for History and Culture in St. Paul, Minnesota. Planners of these successful events in San Mateo look forward to future programs. Karen Ebel, Grace Shimizu, and John Christgau have agreed to participate in the Oral History Association’s conference on “Diversity, Civil Liberties, and Social Justice” in Denver in July 2008. Christgau and Shimizu will also appear at the Association’s conference in Oakland in October 2007. Both conferences will provide an opportunity for continued distribution of enemy alien curriculum material. The one-act scripts, with no copyright or royalty restrictions for educational institutions, are part of the on-line instructional material, along with seventeen lesson plans regarding the AECP. To access the curriculum materials, click here. Plans are already in place for a student production of all three one-act plays at Skyline College on the San Francisco Peninsula in the spring of 2008. The National Japanese American Historical Society is planning a production of THE MASTER TAILOR’S WIFE in 2007-2008. Elsewhere, three Bay Area theater companies have been contacted with respect to their interest in the plays. Cosponsors of the day’s events include the California Civil Liberties Public Education Project, Enemy Alien Files Consortium, San Mateo Public Library, National Japanese American Historical Society, Japanese Peruvian Oral History Project, German American Internee Coalition, San Mateo and Watsonville-Santa Cruz Chapters-Japanese American Citizens League, Peninsula Italian American Social Club, Steuben Society of America, North Peninsula Chapter of the ACLU, American Italian Historical Association—Western Regional Chapter, Los Altos Voices for Peace, Radio Goethe, William Sinclair Trust, German World Alliance, San Mateo County Times, Tricentennial Foundation, European American Issues Forum, German American Business Association, Campaign for Justice, California Ethnic Leadership Council, TRACES Center for History and Culture, German American National Congress, (“DANK”), American Muslim Voice and San Mateo Adult Community Education. Complete funding for the project was provided by the California Civil Liberties Public Education Project.